Last year I blog about how to mass disable users login to Salesforce for major deployment using dummy profile. In Winter '14, Salesforce introduce user Freeze feature, which allow admin to block user login to Salesforce, but nothing change at the background, such as running user in dashboard run. 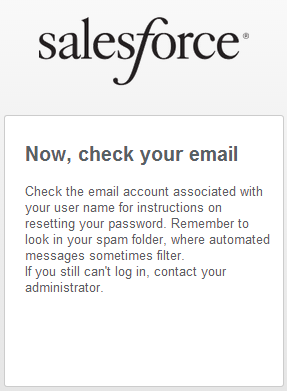 In case if user has left company, but for some reason he still able to get email, be aware that even user has been freeze in Salesforce, users will continue to receive automated system emails such as workflow and approval email alerts, scheduled reports, Chatter emails, and other system notifications from Salesforce. Here is an idea in ideaexchange to stop it. Background: salesforce admin plan for major deployment over the weekend. Since now we have freeze feature, it can be easier using this to mass update user to freeze more easily using data loader, see this blog. Before we freeze users for deployment, all user must be communicate well. Otherwise this will happen. 1. 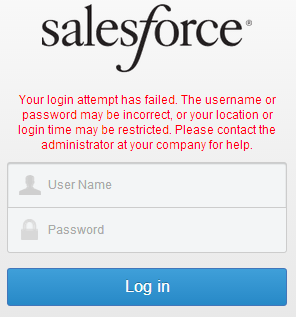 When user try to login to Salesforce, they will see the error message "Your login attempt has failed. The username or password may be incorrect, or your location or login time may be restricted. Please contact the administrator at your company for help." 3. 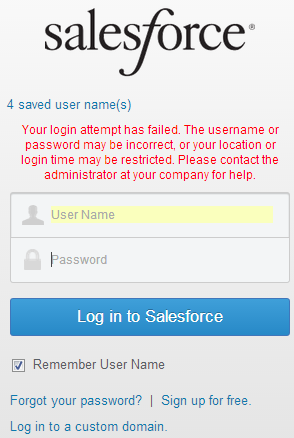 Even user is frozen, Salesforce allow user to change password. 4. User will found email from Salesforce and click link provided in the email. 5. 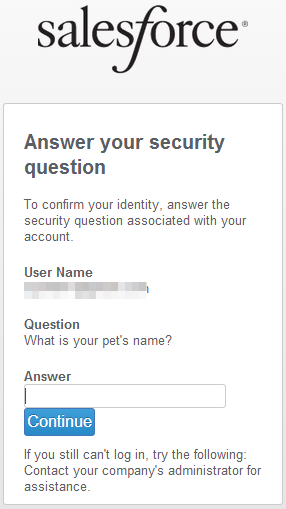 User answer the security question and click Continue. 6. But it will bring user to the same error login again. 7. At this stage, we do not sure which password will work. The easiest is to Reset User password when admin has unfreeze the user. Summary: we can use freeze for stop user login to Salesforce. But, since we cannot modify the error message in login screen when user is frozen, all users have to communicate well prior action, otherwise if they will do above steps. It will be disaster for admin to handle this and have to manually reset those users password. Can I freeze multiple users at once? Many of us may not aware if Salesforce have Last Activity Date. 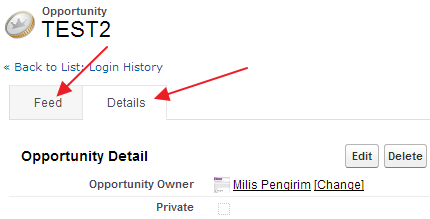 This field in not available in Page Layout, but available in Report, List View, and API (including Formula Field, Workflow and Validation Rule) for Account, Contact, Opportunity and Lead object. 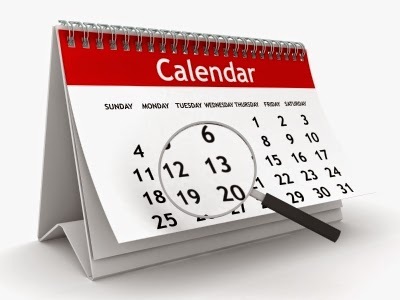 It is important to note that Last Activity Date is not same with Last Modified Date. Last Modified is the date and time stamp for changes (for example, changes to a phone number or an address) made to an individual record. This also shows the user who made the change. Remember, it is NOT Created Date or Last Modified Date of the Event or Task. How the Last Activity Date is Calculated? Each activity record has different the who_id (Contact and Lead) and what_id (other objects) fields in Task / Event object. However, the value for the Account field is calculated by introspecting the who and the what, with the what taking precedence. For example: when user log a call to a Contact, the Last Activity in Account will be updated. If the What is an account, the account_id is that account. If the What is an opportunity, the account_id is the account associated with that opportunity. If the What is a contract, the account_id is the account associated with that contract. If the What is a Custom object that is parented under an account, the account_id is the account associated with that custom object. Reference: What is the difference between Last Activity and Last Modified? 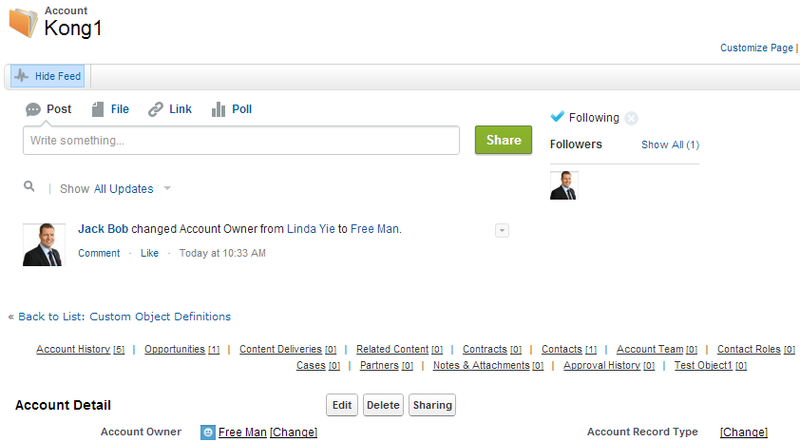 In previous blog, I discuss about on how to restrict sharing access in Salesforce? 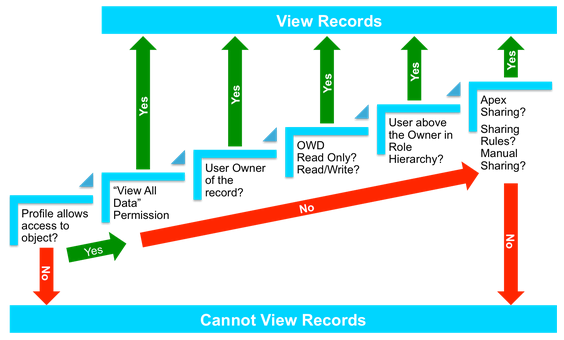 This blog to discuss on how to check if user able to access to a record in Salesforce. Every year Salesforce have 3 major releases, marked with Spring, Summer and Winter release. It start from Spring, Summer and Winter follow by the year number. But, for Winter release, the year used will be the coming year, example: Winter '14 is release on Oct '13, some users may confuse with this, but that is how it named. Advise to follow Salesforce blog http://blogs.salesforce.com and Success - Release Readiness community to get latest update on the new release and features. Usually 2 month before Production release date, users can sign up for Pre-Release instance if would like to try before Sandbox release. If you select not Developer Edition, Pre-Release instance is only good for 60 days, after that will be wipe out. Some sandboxes will be automatically included in Preview to new release and some are not. It depends on your sandbox instance. But, even your sandbox is not in the preview list, it will be upgraded to latest release on the last week of production release, so you cannot request your production / sandbox instance always stay at the old release. if you want to stay in current release, no action needed. If your sandbox is part of Preview window and you use new features introduce on that release, while production still not in the new release. It will cause issue if you deploy the new features to Production, advise to check to the release notes if you have any new features used, because you will not able to deploy that features to your Production instance. For both full or developer sandbox, set a plan date to refresh your sandbox. Some organization set for monthly or quarterly depend on the business and requirements. Always refresh sandbox when you have major deployment or project within Salesforce platform. 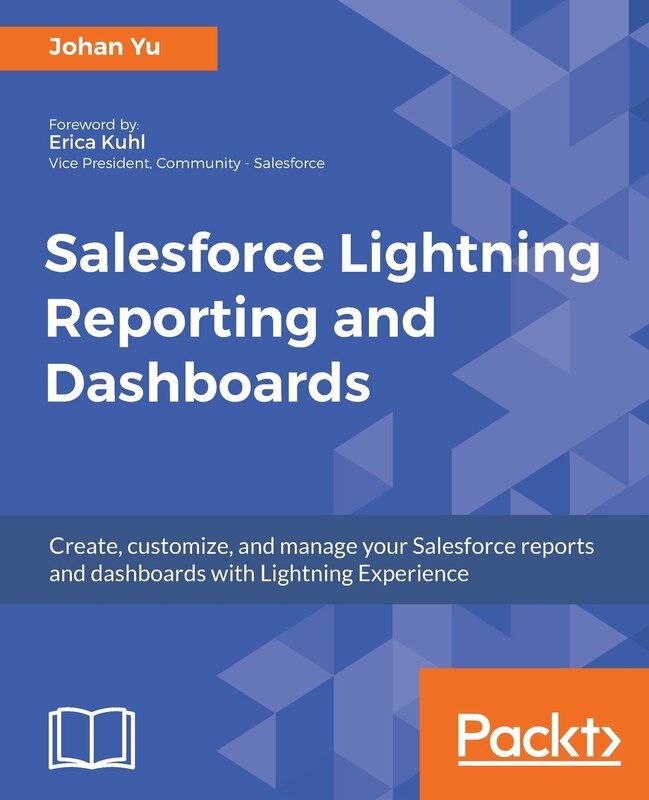 As Salesforce admin, we often try to impress our users or boss with pretty icon / image within Salesforce detail page, in a list view, or even in report. ** Closed_Won_Amount__c is a roll up summary from Opportunity Amount. If you notice image in the formula field above is not pointing to image hosted in some website, but it is within Salesforce itself. 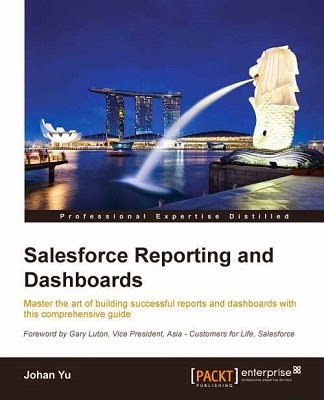 This is because Salesforce provide icons available for us to use. If you need more icons and not available in above list, you can install Graphics Pack app from AppExchange, it is free from Salesforce Labs. Once installed, you will get hundreds of icons available to use, but the image path would be different. Clean data is one of the most important aspects to have your Salesforce CRM working perfectly, this is included data quality and no duplication. 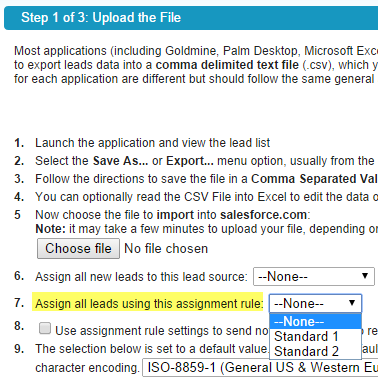 For data quality, you can set required field, mandatory field in page layout, validation rule until apex trigger code. However, to prevent duplication, it will be troublesome to build your own code/configuration. There are many tools available in AppExchange to prevent data duplication in Salesforce, whether created by Salesforce lab or external party, some of them are free or paid. In this blog, I would like to introduce DupeCatcher. 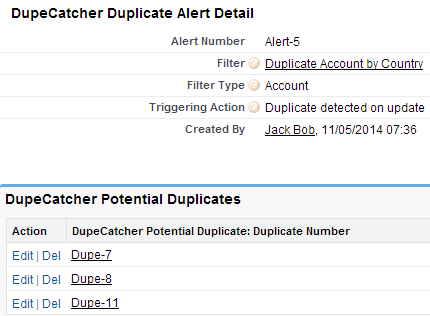 DupeCatcher is a real time duplicate lead, contact and account blocker. It can provide duplicate warning records and associate tasks with them. It is a product by Symphonic Source, which is also creator of a popular data deduplication tool called Cloudingo. 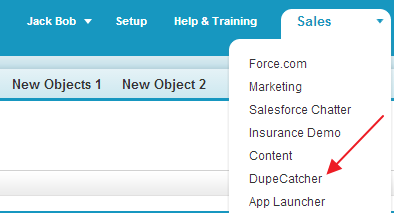 Once you have install DupeCatcher from AppExchange, you will find a new app in your Salesforce. Enter Filter Name; select an object; select if action only insert, or update or both; enter error message; and few more options. Scroll down to DupeCatcher Filter Rules filter to create matching rules, you can have up to 12 rules. If you have more than 1 rule, the relation between each rules are always AND. If you need to have OR relation, you need create new DupeCather Filter for each scenarios. When you choose Action = Do Not Insert or Do Not Update, this option will block user not able to save data when duplicate data detected based on active Filters. If you select Action = Report Duplicate, this option will not block user when user enter duplicate data, but it will create alerts. 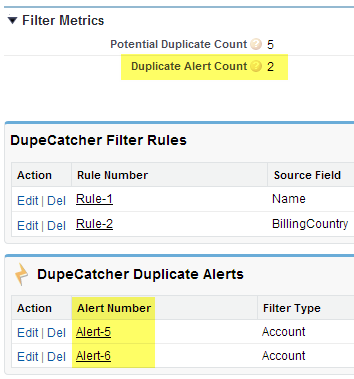 You can notice in Filter Metrics section, how many duplicate records (see Potential Duplicate Count) in how many set of data (see Duplicate Alert Count, data will be shown in DupeCatcher Duplicate Alerts related list). For more information, go to DupeCatcher website, see this FAQ and watch this video in Youtube. Using Salesforce.com, you can define your own email template. There are a few type of email template in Salesforce: Text, HTML (using Letterhead), Custom (without using Letterhead) and Visualforce. HTML (using Letterhead) provide easy way to create email template, where you need to build a letterhead prior. You can edit background colour, logo, header colour, body colour, footer and etc. But, you have limited flexibility to modify email template using this option. Custom (without using Letterhead) give you more flexibility to design your own email template, but you need to have technical knowledge with HTML. You can use HTML editor such as: CoffeeCup or online HTML editor, such as: quackit to help. 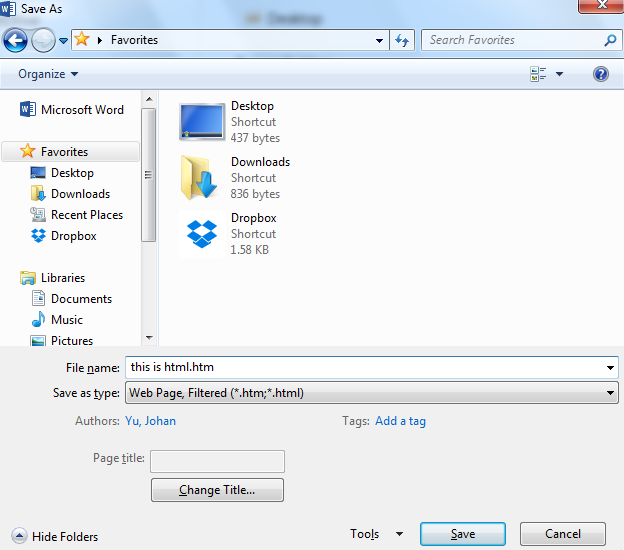 But, if you have Ms Word and familiar with Ms Word, you can utilize it. Type and beautify your content in Ms Word with font style and etc. If you have images for email template, you can reference upload the images to any site as long as reachable from internet, or upload them into Salesforce Document, make sure to set the images as Externally Available, then copy and paste image URL for your email template. 1. Upload images to Document and set as Externally Available, right click the image, if you are using Google Chrome, click "Open image in new tab"
If you notice in markup above, it refer to image stored in Salesforce document in line 4, while merge field in line 8 and 9 for Contact First Name and Last Name. Once saved, you can preview in HTML Preview panel and test send email from Send Test and Verify Merge Fields button. Enter your company 'My Domain' used for SSO. App will prompt you to enter your company network (e.g. Active Directory) username and password. Enter your SSO URL (e.g. mycompany.my.salesforce.com) into Host and your company name (preferred) into Label, then app will ask your company network username & password, in the next screen permission to allow login using Salesforce1, this is the same with option 1 above. The difference between "Log in to a custom domain" with "Add Connection", with add connection, you just need to add once and and keep using it, while login with custom domain, need you to type "my domain" every time you login. It is your choice since both works, but prefer to add connection once and you do not need to enter my domain every time you log out from the app.